And I love the Big Hole. It's no secret. If you've been there, fished it, floated it, or walked it's banks, I'm sure you do too. If you haven't had the pleasure, I'm sure you would. There is a lot to love about the Big Hole. It's undammed. It flows through some of the most beautiful country in southwestern Montana. It holds the last remaining population of native FLUVIAL arctic grayling in the contiguous United States. It has a vast array of prolific insect hatches. 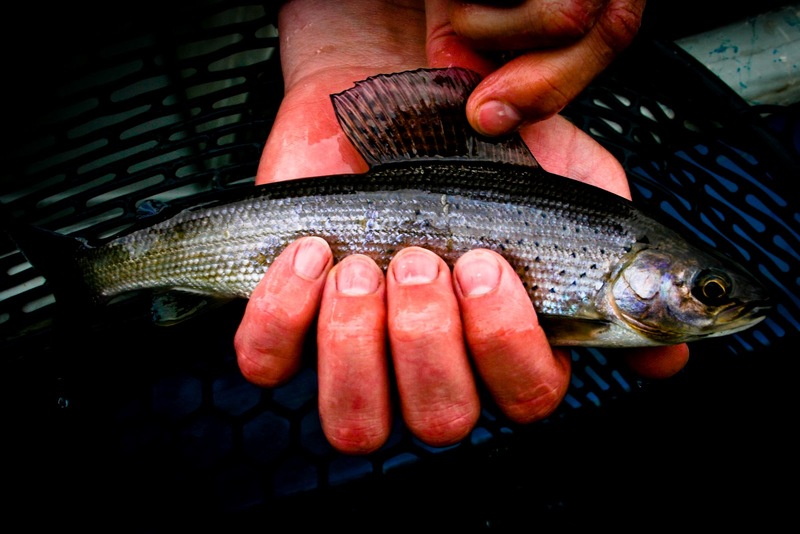 It has a healthy populations of rainbow trout, as well as some brook trout and cutthroat. And it has some extraordinary and strikingly beautiful brown trout. "The Big Hole is a unique river. It is not dam controlled, it is not temperature controlled and you have got to go out and ask the fish how he wants to eat. I have never been able to tell him, he will tell me. It is a great river, but you have to pay your dues." Even with seemingly perfect conditions on the Big Hole, one can get shut out. That's why I love it. I have never felt like I quite have it figured out, but it's fish and the environs that the Big Hole flows through bring me back. From it's headwaters to it's confluence with the Beaverhead to form the Jefferson, the Big Hole snakes through meadows, cuts through two canyons, and winds and braids through the valley around Melrose. 155-miles....all undammed. To me, it is the perfect trout stream. What Can Browns Do For You? from Yukon Goes Fishing on Vimeo. Like many of our great natural resources, the Big Hole is threatened. Drought, overuse, and the associated low water are the bane of a healthy Big Hole's existence. In response to these issues and concern about the sustainability of the river, a group of ranchers, conservationists, guides, business owners, government representatives, and concerned citizens came together to form the Big Hole Watershed Committee (BHWC) in 1995. The BHWC is a unique and forward thinking group. With the understanding that the Big Hole is a shared resource, the BHWC has one goal: keeping water in the Big Hole. The Committee achieves this through a variety of conservation techniques, including land use planning, watershed restoration, irrigation infrastructure improvements, and drought management plans. The BHWC has several sources of funding including public donations. In this season of giving, consider protecting our beloved Big Hole River by donating to the BHWC here. Keep yourself updated on new and ongoing BHWC projects and initiatives by liking the BHWC on facebook. Protect what you love. One element of my most recent video that I enjoyed producing the most was the panning timelapse sequence. 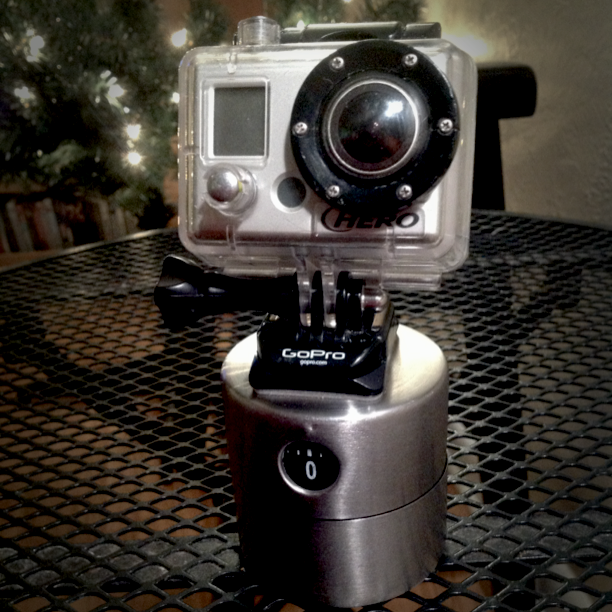 That was achieved by attaching the GoPro to the top of an Ikea Ordning egg timer. I discovered this "technique" this summer on the internets and the Youtubes. Of course, there are several tutorials describing the same basic concept that use different egg timers. However, there is more "mechanical" work required when you use a standard egg timer. What stood out to me was how easy the "construction" was when using the Ikea Ordning timer. The only hitch is that the Ordning timer was not available online and could only be purchased at an Ikea. Solution - Move to a place that has an Ikea...like Denver. Sure, this post could be titled "Goodbye 3x, Hello 8x." 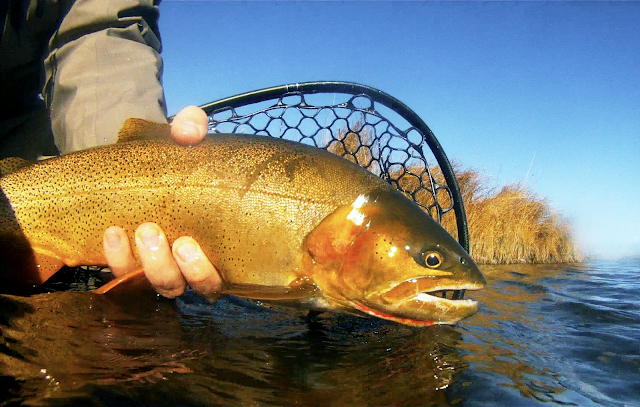 As some Coloradans seem to bask in the "pleasure" of fishing diminutive tippets to not so diminutive fish. But, I am not here to make gross generalizations. Nor am I here (or anywhere) to fish anything smaller than 6x, 5x if I am grumpy. While I have been in Colorado since the beginning of October, I have avoided writing this post for a multitude of reasons, including my lack of writing ability and my internal denial that I ever moved away from land of the Big Sky. But, I can avoid it no longer. After a short 4 year stint in Montana, I have moved down to the a state filled with 14ers. And Colorado is no slouch in the world of physically attractive states. Fly fishing for trout in Colorado certainly offers an elevated sense of self...as you are often fishing at 8,000 feet above sea level whilst throwing line. A stark difference from fishing at four to five thousand feet. The lungs feel it. Leisurely walks along the rivers more than a mile high catch the lungs off guard every so often. Fishing for trout in Colorado is truly in the mountains. With such elevation, you find yourself closer to source so to speak. As the snowpack from the headwaters seems to be right at your finger tips as opposed to far off in the distance as the big mountains were in the major river valleys of Montana. No more turd and worm set-ups off of a 9 foot leader to 3x nylon tippet. It's fluorocarbon and tiny flies. The scale of water management is significant. 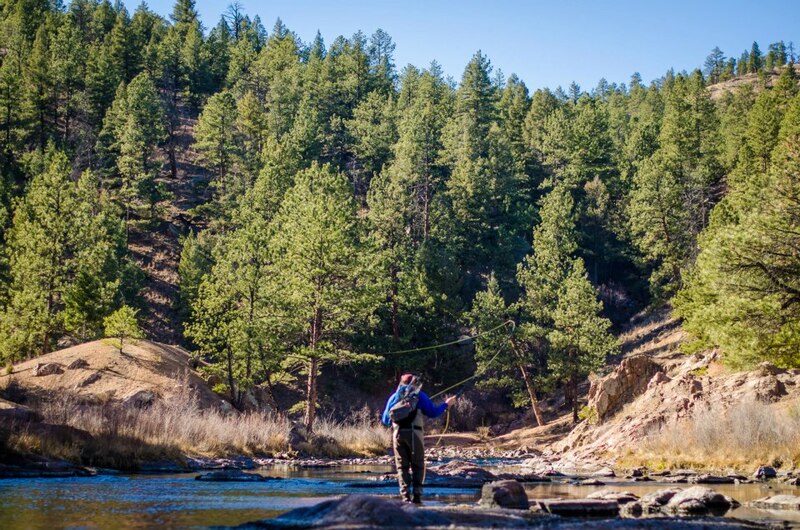 The state of the front range's water supply is plain to see when you explore the landscape. Dams and their reservoirs litter the both sides of the divide in Colorado. The water management is out there for everyone to see. Some of the rivers take on the shape of water conveyance systems rather than free flowing freestones. Last year's low water is apparent. The reservoirs are down, the rivers are low. Major rivers flowing at 60 cfs or lower. Five to ten-fold smaller than the rivers of Montana. A new species. 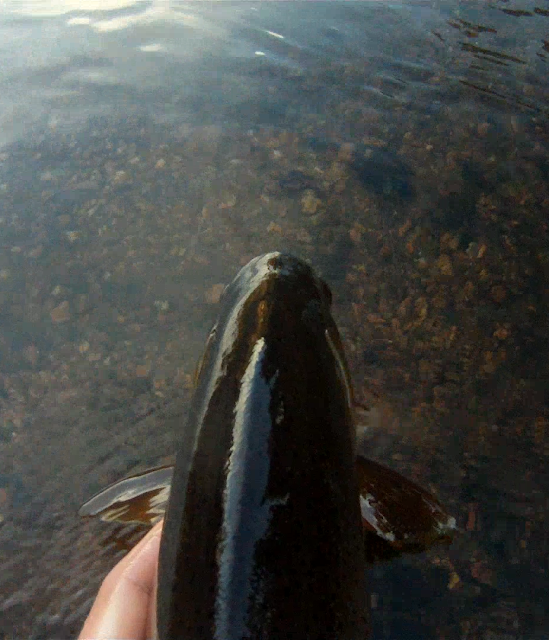 Snake River Cutthroat from the Dream Stream. I miss Montana and will continue to miss that state, it's rivers, it's fish, and my friends for the foreseeable and distant future. That being said, I am eager to learn and see as much as I can in Colorado. I am eager to become a better fisherman. I am eager to fish with new friends. I have already had the pleasure of sharing the water with the likes of Sanders and SchnitzerPHOTO and I look forward to more outings with them and others. How am I feeling about the move to Colorado? Truth be told, I could just link you to a piece that Sanders wrote a couple weeks back. 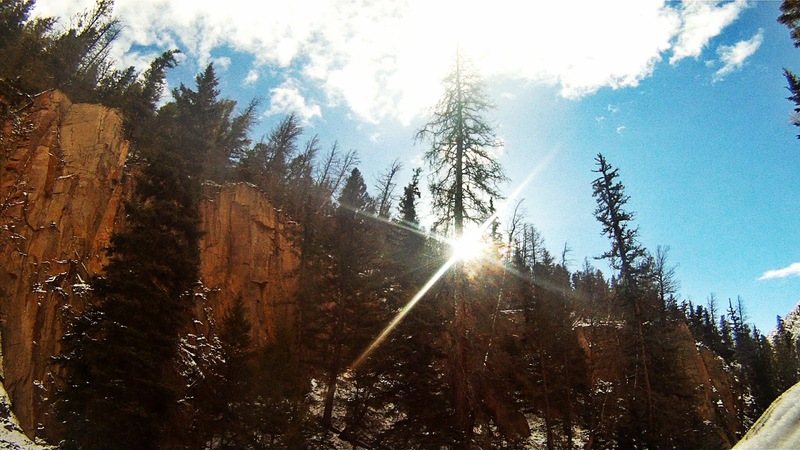 Without express written consent by the NFL, he peered into my brain and figured out what I was thinking as I explored the new-to-me waters of Colorado. I am trying to find the familiar. Colorado is familiar, to a degree. Let's be friends, Colorado.